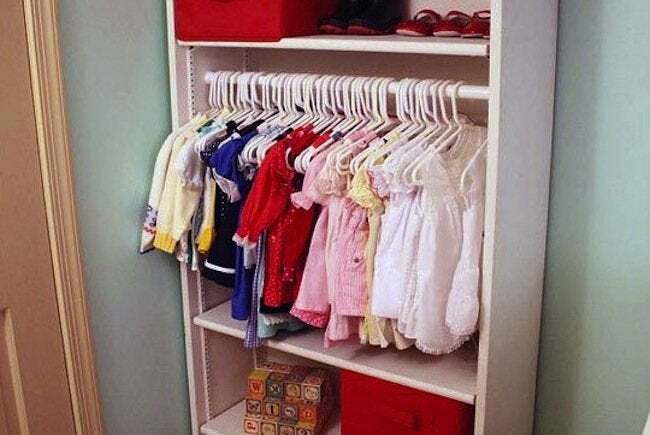 Corral the chaos in your kids' room with DIY storage projects that are easily affordable—and easily completed. LEGOs underfoot, G.I. Joes behind your seat cushions, and Beanie Babies up on the rafters? This weekend, return a semblance of order at home and restore your sanity in the process. 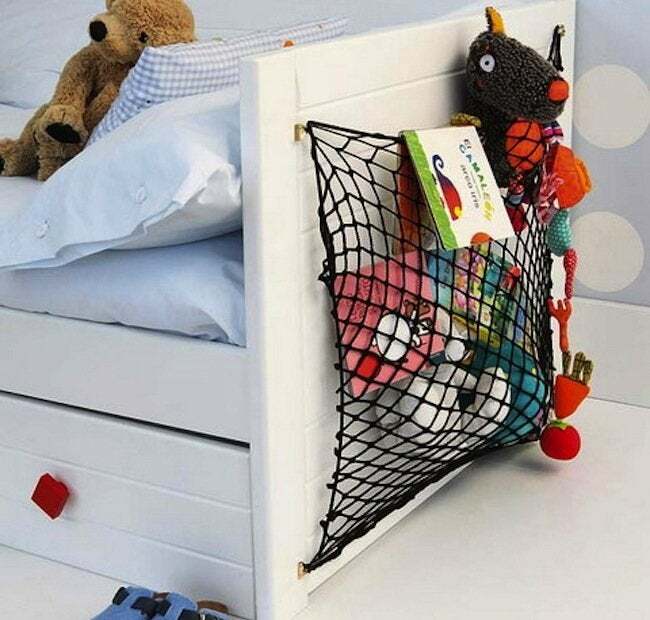 These DIY kids’ room storage ideas offer fast, inexpensive, and stylish solutions to your clutter-run-amok quandaries. 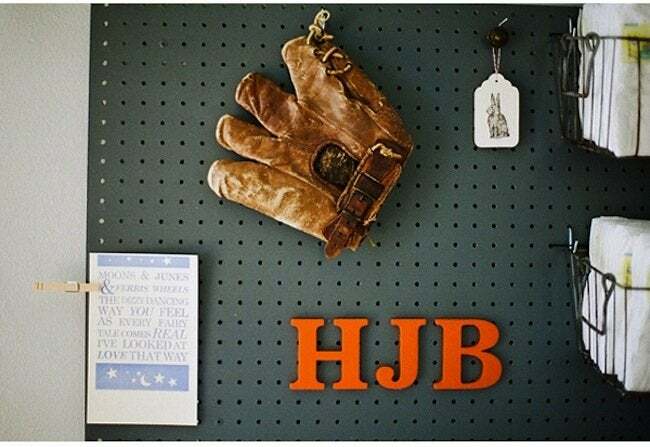 A common fixture in garages, tool sheds, and woodworking shops, pegboard is a storage favorite that homeowners appreciate for its versatility and low-fuss installation. Mandy painted hers a soothing gray before making it the home base for several nursery essentials, plus a few objects of sentimental value. Cargo netting: It’s not just for camper vans! 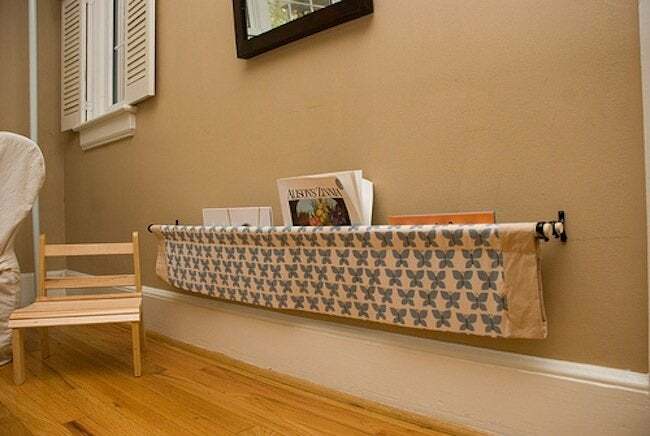 For an easy kids’ room storage pouch, affix a net to a wall, the back of a door, or even the side of a bed. Shop online or at your local sporting goods store; choose netting that can hold smaller toys but is wide enough to make its contents plainly visible. Finding a shipping pallet free of chemical treatment, termite infestation, and mold growth is no easy trick. 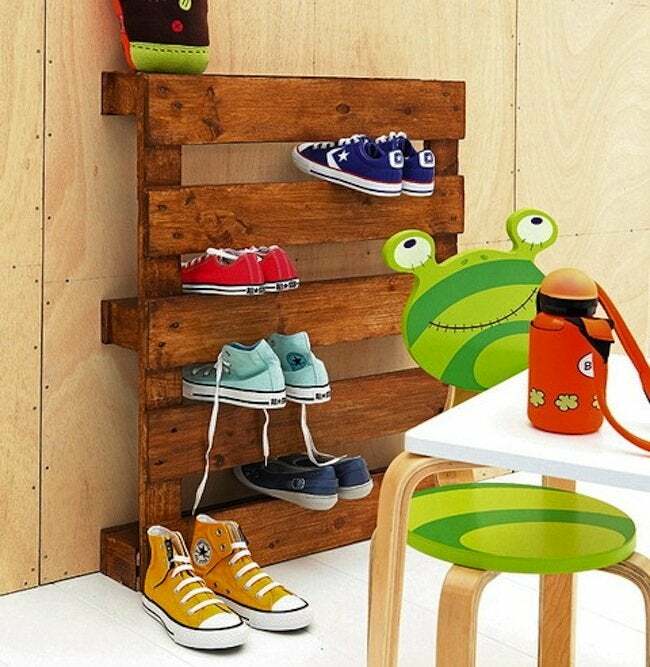 But if you can procure one, you’re halfway to completing this kids’ room storage rack, perfect for sneakers and athletic shoes. Coat on a stain, then fasten your pallet to the wall. No woodworking required! Megan of Penny Carnival came up with a kids’ room storage solution adoptable by any parent of a young bookworm who has a tendency to leave scattered books in her wake. Combining wooden dowels, curtain rod brackets, and patterned fabric, Megan fashioned an inventive “sling” that mounts at children’s eye level. No closet? Eschew the traditional, floor space-hogging chest of drawers in favor of a clothing storage “hack” like this one. In a stroke of genius, its creator simply removed one shelf from a modular bookcase, replacing it with a rod upon which her daughter’s sweaters, dresses, and overalls hang within easy reach.